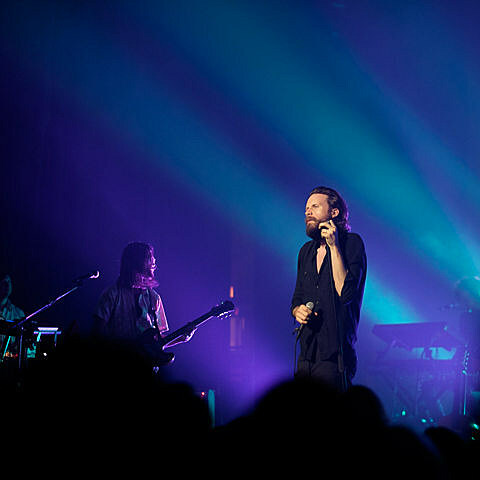 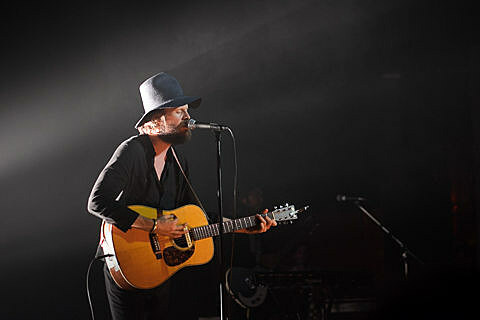 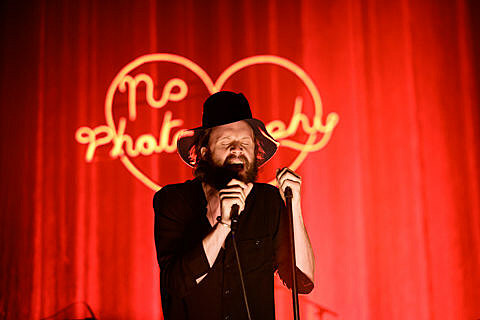 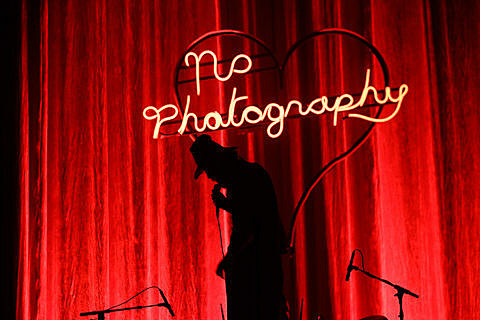 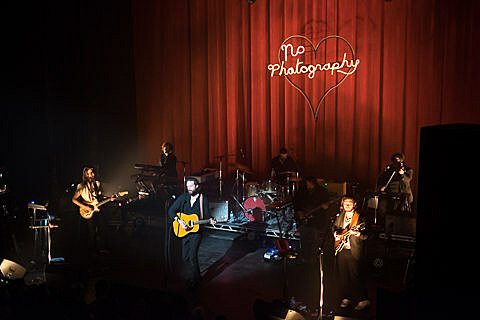 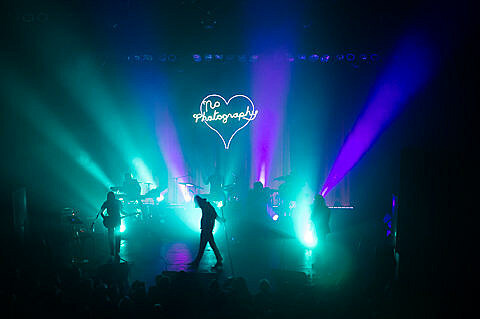 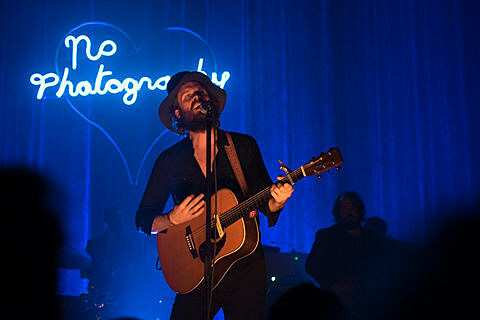 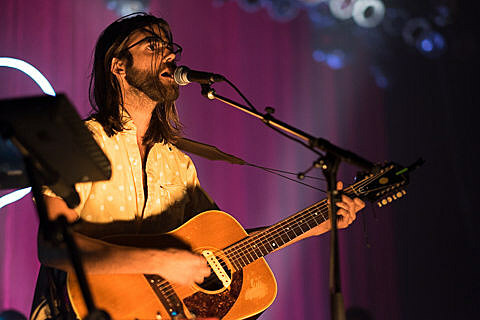 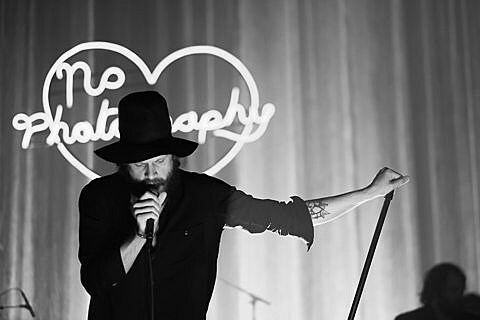 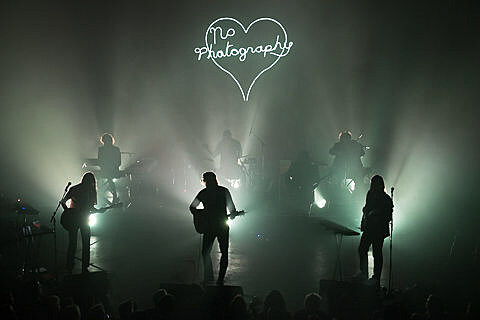 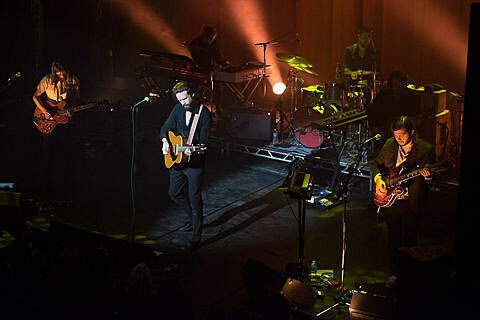 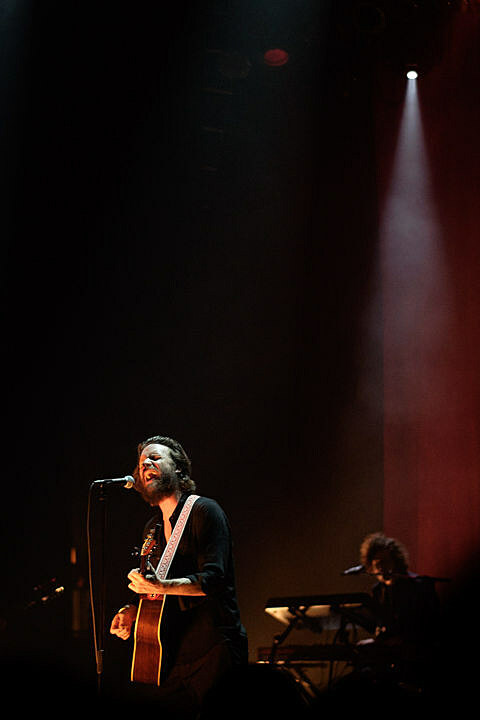 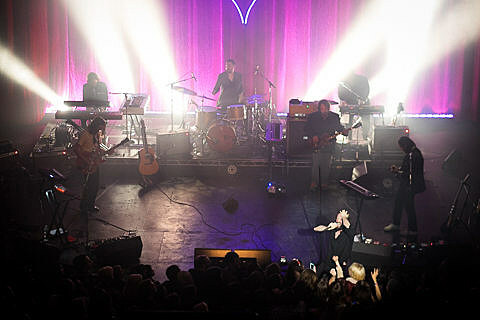 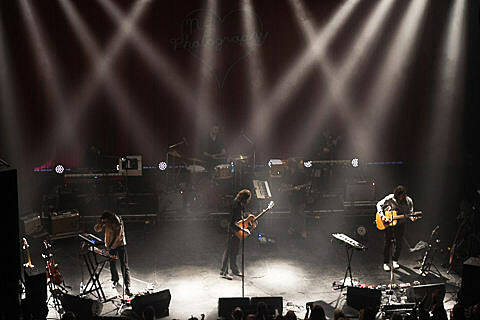 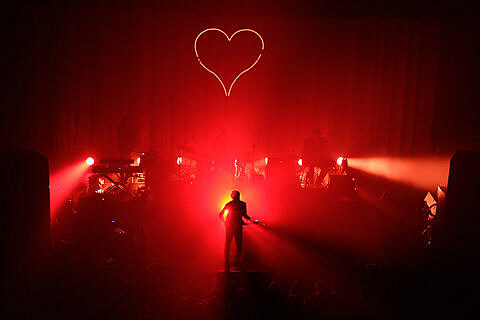 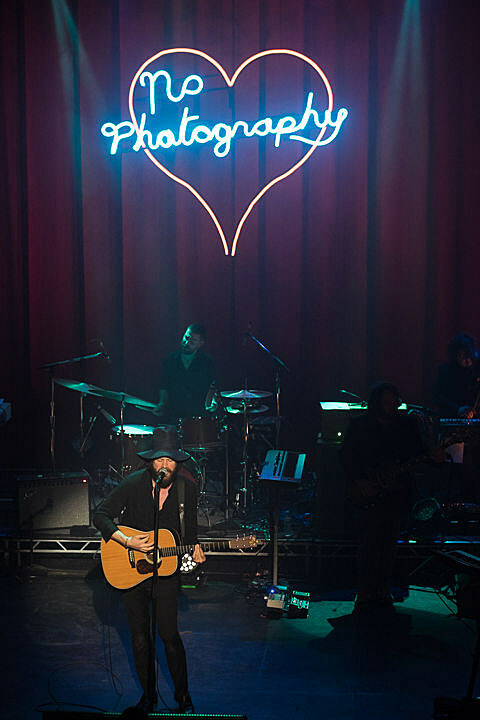 It was Good Friday, and Father John Misty stood in front of his congregation, arms raised to the iconic image hanging from the ceiling – a neon light tracing the outline of a valentine’s heart in bright, frequently changing colors. 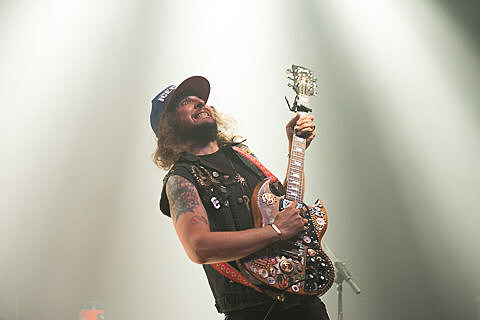 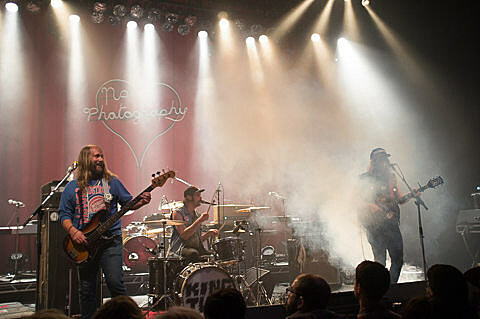 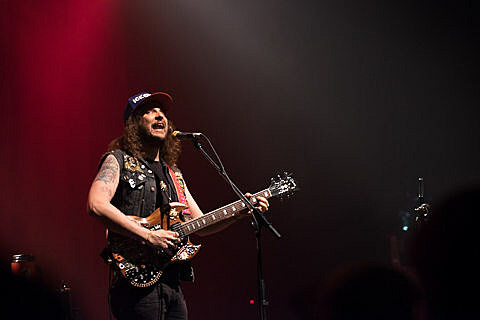 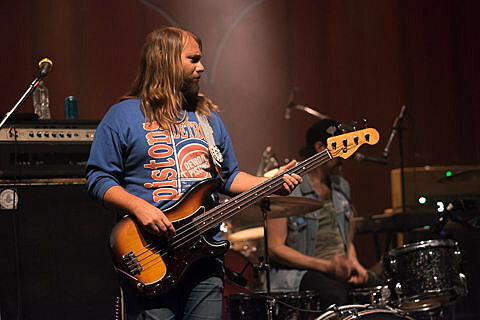 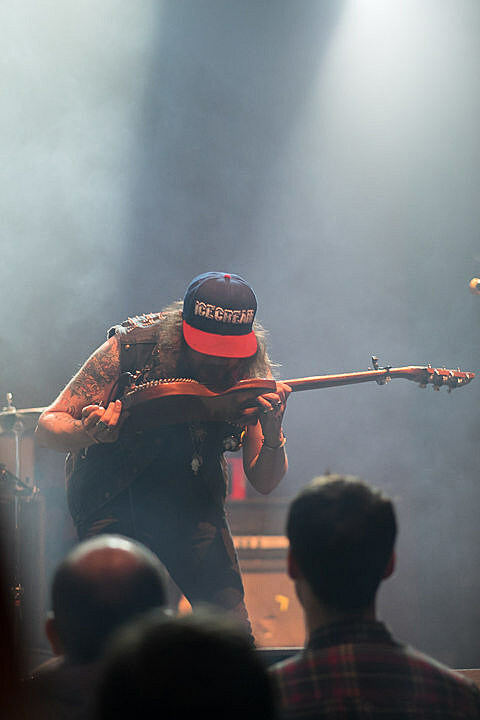 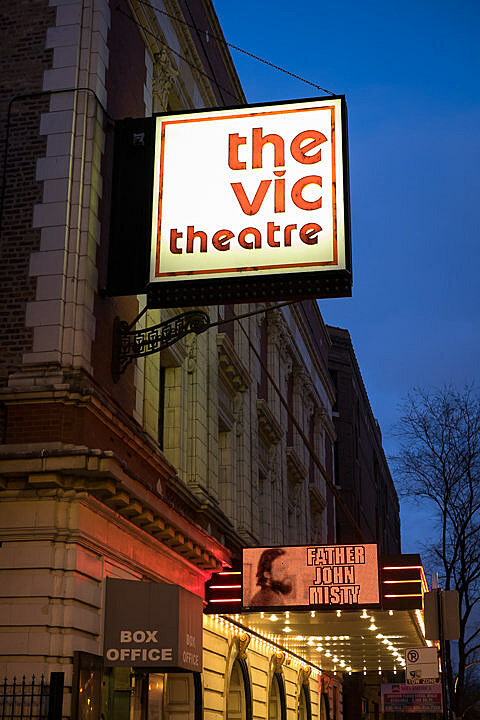 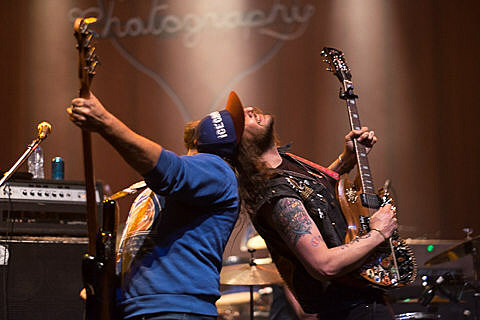 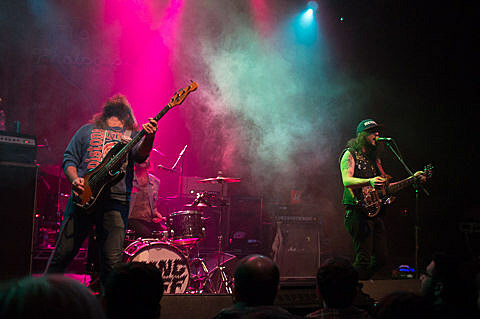 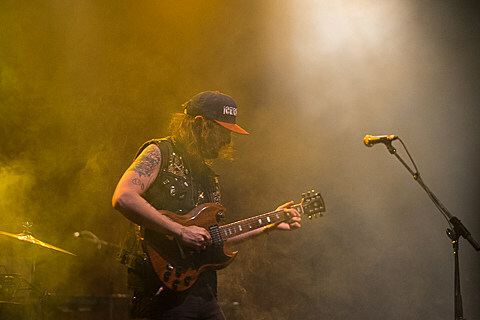 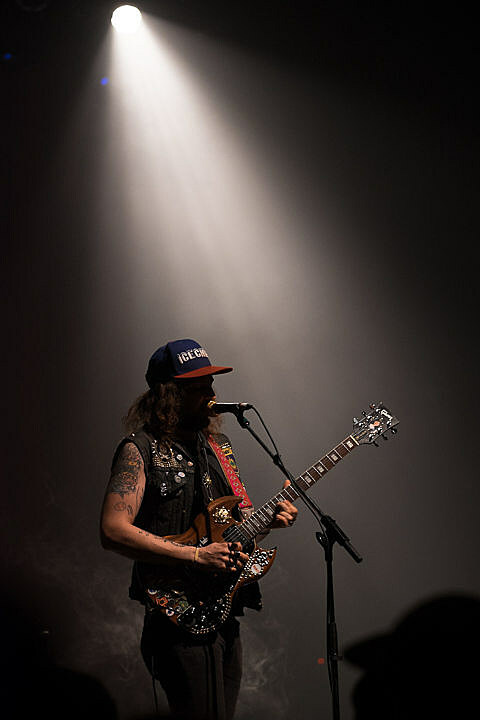 The rest of the sold-out, 90-minute concert at the Vic Theatre similarly mixed holy-roller levels of emotional fervor with irony, open heartedness with kitsch. 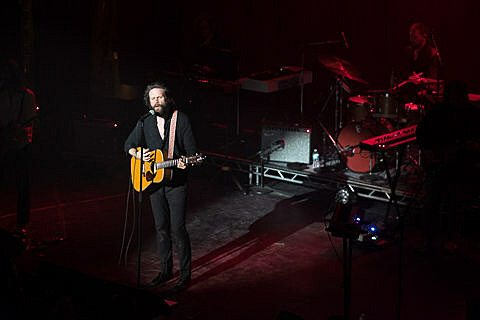 Josh Tillman has parlayed this combination into widespread acclaim on ‘I Love You, Honeybear,” his second record as Father John Misty following a string of records under his own name and a stint as the drummer for folk-rock stars Fleet Foxes. 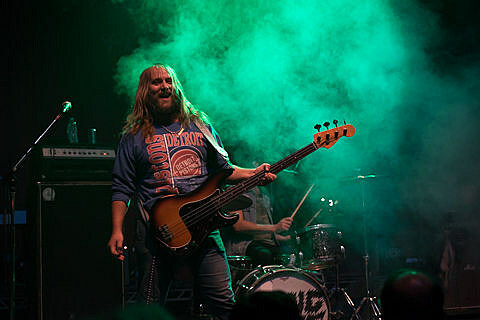 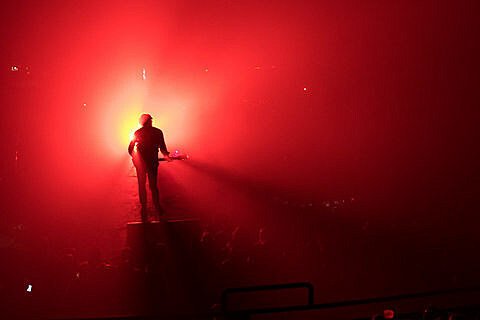 Tillman was raised in a strict, fundamentalist Christian home, and though he took a few swipes at religion during his set, he carried on like a tent-show preacher, stepping down from the stage to clasp hands with crowd members, reaching his long arms overhead, repeatedly falling to his knees and then rising as he rebuked a romantic rival (or himself) on “Nothing Good Ever Happens at the Goddamn Thirsty Crow”.